Nowadays the independents have an opportunity they didn’t have 20 years ago. You don’t need a major label. All my new records are done on that same D1600 machine “Straight to Hell” was done on. I really like Hank 3’s country stuff, but I don’t care for the dirty words he sometimes uses. How many writers does this website have? Is this just one guy? I agree with em at least 50% of the time. I love Hank Sr Jr III, Waylon and his boy, Bobby Bare and his son. I am 27 listen to marty robbins johnny cash george jones ect,,, Waylon Jennings is my hero. I hate pop country with a passion. I hate jason aldeans guts. I know traditional country music I know outlaw. This guy flip flops all the time and gives too much attention to those who arent worth spittin on (Jason, Luke, Deirks, Tim Mcgraw nowadays, little big town, BIG MACHINE IN GENERAL) Cant convince someone who listens to this not too Ive tried. So I Just ignore it there is no way to save country music without another murder on music row. One writer. A shooter Jennings fan told me he has no friends. I’ll be his friend… :3 Good read. Can’t wait to hear the country one. Not a big fan of his demonic metalcore or whatever the hell it is. Unique, but not for me. Please don’t lump Dierks Bentley into the category that you have him in. He’s much MUCH better than them and one of the best in the (mainstream) business right now. Absolutely, Dierks doesn’t belong in that group any more than a steak belongs on the menu at McDonald’s. Speaking of a better class of mainstream country artist, I heard a new song from Joe Nichols earlier this week. Joe Nichols! It wasn’t his best stuff but it was nice to hear him again. And it should be enough to get him back on the radio, I know the music director at the station I work for intends to add it eventually. looking forward to this. Straight to Hell was definitely his opus, then the ones after just kind of blur together, and for the most part are pretty indistinguishable from any other neo-traditional country that’s been put out, though they still had some great bits. Hopefully the country album he puts out here will be something special. WOOOOOHOOOOO!!!!! Sorry that was the Rebel Within. But HELL YEAH!!! I’m hoping Hank III hits a homerun here. I really am. Looking foward to catching a live show hopefully in a venue I can enter without feeling like I need to be heavily armed for my protection. The last two times I saw Hank3, it was at the open sewer known as Emo’s in Austin, where the only relief is when they pour buckets of ice into the urinal trough so that the stench doesn’t make you pass out. Luckily that location has been closed now. Yeah last few times in DFW it’s been at Trees in Deep Elum district which have seen better days and are flat out scary to go into these days. I’m just hoping these two are better than his last four. While I thought Gutter Town was alright I thought the other three were really subpar. I’ve gotten out of the business of trying handicap Hank3 releases. It’s best to just hope for something good. We’ve all heard what he’s capable of. This one needs to be really good. I felt robbed after buying Ghost to a Ghost. I still play it sometimes, but it has about 2 good tracks and a bunch of mediocre efforts. Guttertown was OK, but nothing special really. But, being a Hank3 fan, this will be a day one purchase also (well, at least the country album will be). Hope for the best prepare for the same. Whole lot of Outlaw this and Rebel that, Pills, and booze. 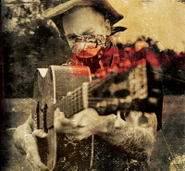 Hank 3 is beginning to be the Laundry list artist of the underground. Outlaw this and rebel that… that woulda been two of the eleven songs off ghost to a ghost. The perception of what he did in 2011 is just wrong… basically he had about nineteen country-ish songs and there’s more good material there than 99.9% of them can claim. I never hear people cry about too many sappy love songs though. Looking forward to some new material. I think he will continue to mature and tweak his sound. I would like to hear more songs like false hearted lovers blues. Any news on the DAC/3 vinyl release? Looking forward to it he rarely disappoints in my opinion. Going to have to wait until I hear it before I buy it. He can no longer be trusted to put out an album worth your money with a blind buy anymore. His country has gone terribly downhill while his metal has stayed about the same. One or two decent songs is about all I expect out of this. well i must admit i can find myself in some level of agreement with just about everyone here. most of all i want Hank to put out a good country album because i need one, sure that may be selfish. Like the other guy who is a Clutch fan , I need a good rock album too, both good country albums and good rock albums that meet my standards are getting harder to find. I have high hopes for the new Clutch album as I have heard its heavier that last few, and I have high hopes for a good country from hank. I think he could possibly be mature enough, experienced and unfettered by Curb to do it. I’m looking forward to it, but with no expectations for a revolution. I’d prefer he leave out the pointless “tracks” of 2-5-8minute crickets churpping or a light switch going on and off (counting those as songs on the album is a rediculous). Also, hope the screaming idiot guest star doesn’t ruin some of the good songs. Of course it might be released in the fall, just in time to be used for a Halloween soundtrack. Keep it up 3, I know I ain’t going to change you and I do appreciate you, but your namesake is all that keeps my interest in you. oh, yeah! can’t wait for that! I still like Risin’ Outlaw best. I will always be a fan. I have had great times with a wide variety of folks at his shows. I know Hank knocks Curb records, but his best albums were all recorded with Curb. The stuff since then hasn’t even compared. So I’m very much looking forward to this new release. I definitely agree with you. His music with CURB records are better, even his voice seems better somehow. In light of that, I am kinda hoping that he gets another major record company. He seemed to need that polished professionals around him. He need someone who can appreciate his raw talent, but would clean up his mistakes. The albums Curb allows him to put out himself, have a lot more depth than Risin Outlaw, but of all his albums Risin Outlaw was the most polished. I am not sure what to say, because I love listening to the ones where he wrote all his own songs. He just need someone who will let him do 98% of the talent, someone who can appreciate and respect that he is a talented badass. I’m looking forward to seeing Hank on the road again but I sure hope Shawn doesn’t come back too soon. I had the almost the exact same surgery in February minus the bone spurs but add a slap tear. Recovery is excruciatingly slow and even if you feel decent one wrong move can bring you to tears. Would hate to see him come back thinking he can do it and end his career permanently.